I became obsessed . . . I became obsessed with this book--and with Rome, as a result of this book. I could not put it down, and I give that to perhaps five books I've read. I think the more well read will find each paragraph to contain the distillation of an entire thesis. (Alas, the less patient will find only eight or so illustrations, and large text on the cover and title page to hold their attention.) I had to put it down every page or so to awe over the depth of what I'd just read. This process made my reading last weeks--almost as though I were reading scripture. My obvious emotional attachment to this book should make readers pause, of course. So to be balanced I should say that, as any academic work, Ferrill's must surely be matched by alternative scholarly conclusions somewhere. But it struck me as so expertly and thoroughly reasoned, that it is my chosen watershed on Rome's decline. 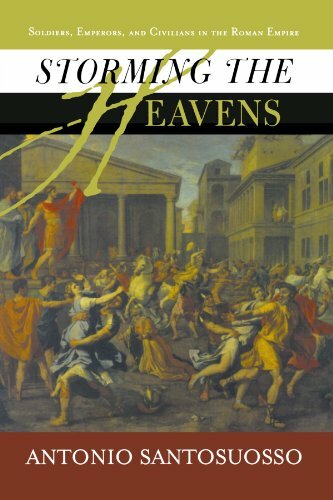 I recommend this book as the best starting point I've found on Rome's decline, and . . . perhaps her persistence? What did it really propitiate Rome `s fall ?. Since the days of Gibbons, diverse erudite men have debated this thorny question with vehemence and bravery with different answers that include from the racial decadence to the proclaimed immorality apart of an excessive bureaucratization. But lastly, the most probably explanation has focused about the slow process of raveling and cracking of the military establishment in all orders, product ofan unlimited ambition and pernicious anxiety of rampant greed as expected result of the visible moral degradation and sinister corruption in the higher spheres of the power. In the last decade of the IV BC, the emperor Theodosius governed on a territory so extensive as August was then, leading an army of hundred thousand men. Nevertheless it was enough, due only eighty years later the Empire and the Army would be entirely destroyed. What happened on the road ? Undoubtedly, the inclusion of barbarians as reinforcement of the army permeated the moral of the soldiers and the discipline of the infantry; on the other hand the huge mobile reserve created by Constantine accented still more the vigor of the frontier forces, reinforcing the cavalry at expense of the infantry. That distortion o the real situation and the breakthrough of the infantry as vertebral column of the Roman Empire would eventually become its nemesis. This absorbing analysis will engage you from the first pages, introducing and making us to participate in this passionate subject. And far beyond, you may disagree or not around this perspective, the book maintains an febrile state of undeniable interest that will captive your attention all the way through. On the whole Ferrill's book is a useful resource as a summary of the major events in the collapse of the Western Empire, but the central thesis of Ferrill's work and his final conclusion are both very weak. Ferrill dismisses the longer term economic and administrative failings of the Western Empire, but does so without actually discussing them. He says that to see the later Empire "as a troubled giant .... a decaying Empire .... is to miss the point." (p.164) but he doesn't explain why. In fact, the long term problems of inflation, a declining population and a shrinking tax base, along with a widening gap between rich and poor in the West and a spiraling trend towards ruralisation of the population all combined and accelerated slowly over a long period between the reign of Diocletian and 476 AD. What we conspicuously don't see in this period is any major military defeats of the Roman army by barbarian invaders. When the weakening, fragmenting and economically aenemic Western Empire is confronted by a military threat in this period it usually defeats it - at least for as long as the failing economy and collapsing administration is still able to organise armed resistance. The fall of the West was an economic and administrative failing - battles and tactics had virtually nothing to do with it. But Ferrill simply dismisses all this as "missing the point" without a word of explanation as to why all these highly significant factors are completely irrelevant. He simply tells us they are - end of story. "Many historians have argued .... that the fall of Rome was not primarily a military phenomenon. In fact, it was exactly that. After 410 the emperor in the West could no longer project military power to the frontiers." This is quite true, but what Ferrill skips lightly over is the reason for this - the depopulated and cash-strapped Western Empire, having fought five civil wars in the last century and wracked by political instability, was simply in no position to field the armies it needed to protect the border provinces. It's not as though outdated Roman armies were being tackled and beaten by superior barbarian forces. The armies weren't withdrawing after being routed on battlefields by overwhelming or tactically superior Germanic troops. The Empire simply couldn't maintain its centralised military infrastructure any more because it didn't have the manpower or the cash to do so. "One need not produce a string of decisive battles in order to demonstrate a military collapse. The shrinkage of the imperial frontiers from 410 to 440 was directly as a result of military conquests by barbarian forces." Though these "military conquests by barbarian forces" occurred, strangely enough, without any decisive battles. The truth is the barbarians moved, usually without major opposition, into areas that the dwindling and economically starved Roman army had already abandoned or which it could no longer defend in strength. Their "invasions" - actually very small in number - were a symptom of the decline of the Roman army and the economic and administrative decline of the West, not its cause. Ferrill asserts otherwise, with great boldness. But, again, he doesn't tell us why - he just tell us. "To be sure, the loss of strategic resources, money, material and manpower compounded the mere loss of territory and made military defence of the rest of the Empire even more difficult. It is simply perverse, however, to argue that Rome's strategic problems in the 440s, 50s and 60s were primarily the result of financial and political difficulties or of long term trends such as depopulation." Why is this quite reasonable and sensible conclusion "simply perverse"? Ferrill doesn't tell us, he just says it is. He goes on to argue that any explanation of the fall of the West has to take into account the survival of the East - which is very true - and seems to believe that this is an argument against the "simply perverse" idea that systemic and economic problems were the real causes. In fact, the East always had a far greater population and a massive concentration of the whole Empire's wealth. The division of 395 made this disparity worse, giving the West more to defend and far less resources with which to do it. Further weakened by civil wars, local warlords and a string of weak or shortsighted rulers, it's actually amazing the West struggled on for as long as it did. So it's very clear why the East survived while the West fell. Ferrill continually acknowledges key points in the real reasons for the fall of the West without acknowledging (or grasping) their significance. In discussing what the West did wrong while the East got right, he says the East "was better able to afford the heavy subsidies barbarian leaders demanded in the years after Adrianople" (p 166). But he fails to see why this is the case - because the East was far wealthier than the West. This was not a military factor, and it certainly had nothing to do with equipment, training or tactics - it purely economic. The East was able to pay Attila off for years and then, when he became too much of a nuisance, refuse to pay him anymore. The Hunnic king then decided to make up for his lost revenue by attacking the West, since the more impoverished half of the Empire made an easier target than the still relatively rich and strong East. Similarly, the East were able to pay off and deflect a succession of potential barbarian problems, usually getting them to afflict the increasingly weak and fragmented West. Ferrill briefly acknowledges the East's significant economic strength, but then ignores it to pursue his ghostly theory of military explanations. Without giving any good reasons for setting aside significant and relevant factors in the decline of the West such as economics and depopulation, Ferrill blithely declares that they can, indeed, be set aside. But not before lumping them in with "race mixture .... lead poisoning and other fashionable theories" (p. 166), which is a pretty shoddy piece of rhetorical trickery. He goes on to argue that the real reasons for the fall of the West was a deterioration of the Western Roman Army - not the decline in the infratructure and recruitment which sustained the army, as I've argued above, but a decline in the tactics, training and quality of the troops. For the decline in training he relies almost entirely on Vegetius' problematic manual and on a highly dubious report from Jordanes of a pre-battle speech by Attila about the quality of Roman troops. And for the decline in the quality of the troops he simply points to the "barbarisation" of the army and takes it as given that this meant the troops were therefore of low quality. Again, Hugh Elton shows the flaws in this idea. As he argues, the use of barbarian troops had been going on in the Roman army for centuries and continued in both the East and the West in this period. So why did this practice suddenly cause a decline in quality in the West in the Fifth Century? Secondly, most of the barbarian troops used in the West weren't part of the regular units anyway - they were federate bands hired for specific campaigns or to defend particular territories. Their use and significance certainly did increase as the Fifth Century progressed, but largely for the very economic and administrative problems that Ferrill is so keen to dismiss. So, once again, we aren't seeing a "military explanation" - we're seeing the result of longer term, systemic economic and social weakness. Ferrill's final sentence reads: "As the western army became barbarised, it lost its tactical superiority, and Rome fell to the onrush of barbarism". This is nonsense. There was no loss of "tactical superiority" - whenever the ailing Western Empire could field a decent sized army it won hands down. In fact the military history of the fall of the Western Empire is a string of Roman victories and barbarian defeats. It's the economic and administrative history of the West in this period which is the tale of woe and its the weaknesses here which robbed the Empire of its ability to field and maintain those armies and led, eventually, to its economic and administrative fragmentation and its eventual political collapse. I enjoyed reading Ferrill's work. It was generally well written and easy to understand for a non scholar. Some areas were glossed over; why the Eastern Empire survived in spite of the Eastern army suffering two major defeats-Adrianople and Julian's abortive Persian campaign. I liked his thesis that barbarian armies were not composed of mostly cavalry which is a common misconception. Ferrill does defend the Western emperor Honorius in spite of history's judgement that he was a do nothing emperor and basically ensured the destruction of the west. He does not explain certain key events: namely why the Goths after victory at Adrianople became federoti under Theodosius only to rebel a generation later, culminating with the sack of Rome. Overall, this work is worth reading for its simple style and essentially correct assessment of the Western Empire's demise. I found the book refreshingly easy to read and understand, and it certainly kept my attention. For the first time the answer to the question "OK now we know why the Western Empire fell, why did the Eastern last another 1,000 years?" Simple, the Western armies weren't up to it. It was a military defeat or series of defeats and the nation could not withstand the invasions which followed. 2. Fall of the Roman Empire: The Military Explanation. 5. 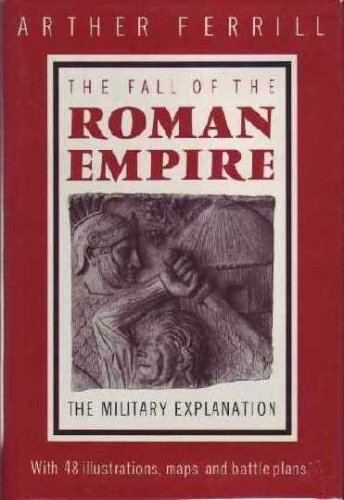 Fall of the Roman Empire: The Military Explanation. Adrian Goldsworthy has received wide acclaim for his exceptional writing on the Roman Empire—including high praise from the acclaimed military historian and author John Keegan— and here he offers a new perspective on the Empire by focusing on its greatest generals, including Scipio Africanus, Marius, Pompey, Caesar, and Titus. Each chapter paints a fascinating portrait of a single general, offering in-depth insight into his leadership skills and victories, as well as each one’s pioneering strategies, many of which are still used today. In the process, this absorbing, reader-friendly history tells the complete story of Roman warfare, from the bitter struggle with Carthage in the 3rd century BC to the last desperate attempt to win back the Western Empire in the 6th century AD. A selection of the History Book Club. 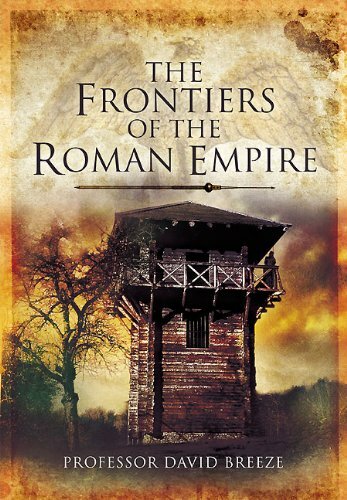 This book covers a lot of subjects and eras of the Roman Republic/Empire. On each age several roman generals distinguished themselves over the rest. names from the author list , such as : Sulla and emperor aurelianus . all by all : 10 stars ! ..
Goldsworthy's book is a superb study in ancient Roman military leadership, the realities faced by commanders over a 600 year period fighting opponents all over the "world" (at least as it was known to the Romans).Clearly, for any student of Roman history, whether scholar or hobbyist, this is a must have. What I found fascinating, however, were the lessons that Goldsworthy clearly identifies throughout the book that are so applicable to the world around us today.Lessons that we can use in making decisions and thinking about complex situations; lessons that, with any luck, we can all apply and not have to relearn the hard way. First - and easiest to make - are analogies with today's military situation.Modern militaries of US, Europe, Japan, and so on, are not likely to fight great battles any more than most of the Roman commanders fought great battles against equally armed, styled, and sized opponents.Few of the Roman commanders battled equal Parthian or Carthaginian armies; most conflicts were against smaller opponents like Gaulish, Germanic and Pictish tribes.Roman commanders had armies who were vastly better armed, trained, and organized than these tribal warbands.And yet, when the Roman tried the "traditional" means of warfare, the tribal warbands did not "play along" (when they did, the Romans defeated them).And so the warbands turned to raiding and almost guerrilla-like tactics.Goldsworthy then lays out what the Roman generals did in order to cope and turn the situation to their advantage:heavy reliance on intelligence gathering, rapid responses, spread out deployments holding down various fortified positions or camps, constant politicking to find even small allies amongst the various tribes, and continual work with local populations to improve their lot (building roads, bridges, etc.) and refrain from plundering. Sounds a lot like the strategies in Iraq and Afghanistan, doesn't it? For corporate leaders, Roman leadership lessons also apply.Be seen with your "employees" (i.e., soldiers); do not set yourself too far apart from your men (e.g., it's fine to have the corner office but having a beautiful glass and steel office building dedicated to you and your staff miles away from your factories and call centers is not going to engender support and loyalty and, thus, increased productivity and creativity amongst your employees); make sure you are in a position to be able to see, identify and call out individuals for going above and beyond the call of duty - and make sure to reward them; insist on everyone - from the leader to the junior hire - helping in the grunt work (in the Romans, case rebuilding ruined fortifications, fortifying camps, etc.). Sounds a lot like advice from some of the best business and leadership books written over the past decade, doesn't it? Admittedly, Goldsworthy's "In the Name of Rome" is not a book you're going to sit down with after dinner and whip through before bedtime; but then good leaders are not made in a day. 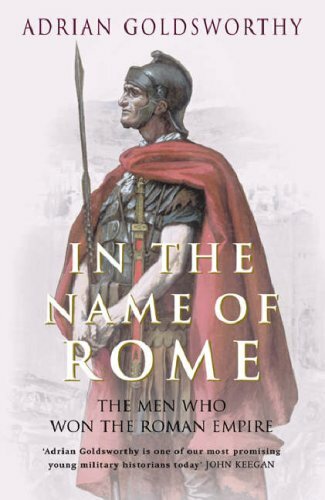 In The Name of Rome by Adrian Goldsworthy presents summary biographies of fifteen Roman generals from roughly 200 BC through 565 AD. Subjects include not only many of the better known Roman generals from the Republican era (Scipio Africanus, Marius, Pompey, and Julius Caesar) but also many lesser known generals from both the Republican and Imperial eras (from Fabius and Marcellus who checked Hannibal's advance in Italy to Julian the Apostate who held back the Germanic invaders in Gaul in the 350s AD and Belisarius who battled the Persians on behalf of the Byzantine Empire after the fall of Rome. In addition to the chronological events and biographical materials on the primary actors, Goldsworthy presents, as an almost subliminal subplot, his analysis of the changes in Roman government that led to the fall of Rome. Rather than detail the lives of the fifteen generals, I plan to outline this analysis in the following paragraphs. From about AD 200 on, Emperors were largely made and deposed by the army. This pattern had several effects on both the military and government of Rome. 1. Emperors were generally insecure in their positions. Having been placed in power by force of arms, they were inclined to be on the lookout for other generals who might attempt to follow the same path to power. To prevent rival generals from developing power bases in the army, Emperors spent more and more time in direct command of the army in the field. 2. Prior to AD 200, larger provinces were garrisoned by up to four legions. This was a considerable force and could become the power base for a potential rival. To reduce this potential threat, Emperors reduced the sizes of provincial garrisons by either transferring forces or subdividing the larger provinces. This resulted in provincial garrisons that seldom exceeded a single legion in size. 3. The reduced provincial garrisons were less able to cope with serious revolts or invasions. With limited forces at their disposal, provincial commanders were less inclined to come to the aid of a hard-pressed colleague. 4. Significant revolts or invasions required a large army to quell or repulse them However, the only really large army was that commanded directly by the Emperor. This further tied the Emperor to field operations onpermanent basis. 5. The need for an army commanded by the Emperor to deal with major conflicts effectively eliminated the Senate's role in creating proconsuls to govern provinces and command armies. 6. The selection of the Emperor by the army destroyed even the myth that the Senate exercised any meaningful role in imperial succession. 7. The extended absence of the Emperor from Rome effectively transferred the seat of government to the army's current headquarters location, further reducing the influence of the Senate and administrative bodies in Rome. 8. The need for direct imperial leadership of the army on campaign effectively limited the ability of the empire to deal with more than one or two simultaneous crises. These themes seem to me to explain why Rome fell better than most other sources. Adrian Goldsworthy's book In The Name of Rome would be an outstanding addition to the library of anyone interested in ancient Roman military history.Goldsworthy is in my opinion, and based largely on the reading of this excellent book, not only extremely knowledgeable about the subject, he writes compellingly and engagingly and communicates not only his interest and knowledge but also his enthusiasm for the subject.I loved this book. Goldsworthy breaks his book down into essentially self-contained biographies, or comparative biographies, of several major Roman generals and sometimes statesmen.He covers their lives, their campaigns in great detail, their careers in politics and what they accomplished or meant to accomplish.Some of the endings are triumphant, some tragic, some bittersweet.Subjects include Fabius and Marcellus, Scipio Africanus, Aemilius Paulus, Scipio Aemilianus, Marius, Sertorius, Pompey, Caesar, Germanicus, Corbulo, Titus, Trajan, Julian and Belisarius. As can be seen, the book concentrates more heavily on generals during the Republic and the very early empire; he does explain how the politics of the empire caused individual generals to fade in importance vs the image of the emperors themselves.Not every stage of the Republic's growth is covered, nor every campaign of every general, and yet there is a strong and well conceived thread which goes throughout this book. Besides the fantastic characters of the personalities themselves - and often, those of their enemies - Goldsworthy excels in describing the campaigns and the battles fought, the tactics on the field, and the qualities of leadership displayed and exercised.He contrasts the various styles with one another, and with the times in which they were used, and how these changed.The organization of the armies, how they were employed in brute force or in subterfuge, the importance of the various elements - all of it is well presented. Finally, the book includes a chronology from the founding of Rome through the various major events in the wars and lives described in the book, through the death of Belisarius; and there is a useful glossary of Roman military terms that is very useful in the reading of the book. If you have an interest in the Roman art of war, this book should be on your shopping list. 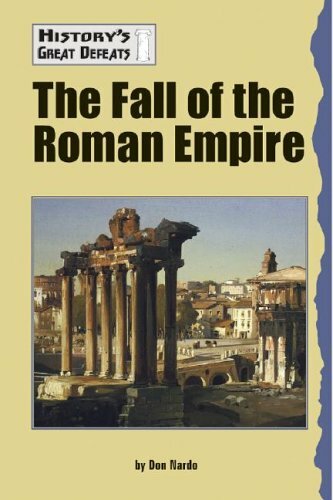 Whilst primarily a discussion about the changing strategy of the Roman Empire from Augustus to the fall of the west, the book is a good insight into the reasons for the fall. The Romans were successful as their armies consisted of well trained heavy infantry. Up to the time of Augustus they took all before them. The normal way to defend the empire was to expand against any potential enemy. However Augustus decided that the empire could expand no further. The reason for that was that the strategy used to conquer was to defeat enemies by drawing them into battle by threatening their cities. The problem faced by Augustus was that after taking Gaul the Romans faced the Germans. The Germans did not have cities and lived in forested areas. There was no defined points of occupation or cities to conquer. Roman heavy infantry also were at a disadvantage in forested territory. Augustus lost three legions in one battle. The strategy adopted was one of defending the boarder. Over the next few hundred years the response of the Romans varied. The experimented with fixed boarder defenses, mobile responses and again defended lines. The problem being that they faced multiple and different threats. At any point the Germans might launch a full scale invasion. At other times they might simply have lower level cross boarder raids. A manned defensive line was a reasonable response to low level cross boarder raids but clearly not to a significant invasion. For the first hundred or so years after Augustus the Romans had a numerical and qualitative superiority over the Germans. However in the Steppes new tactics were being evolved. These involved the invention of the stirrup and a new form of composite bow which meant that cavalry become important and could dominate the more static armored foot troops. Not only were cavalry able to be more mobile in battle but they also could march and cover territory more quickly making the defense of empire more difficult. In response the Romans changed the nature of their own armies increasing the number of cavalry. The problem with this was that whilst they might compete with barbarian cavalry on equal terms they lost the edge that they once had. The old legions were not the equal of other forces but by far their superior. New Roman armies were no longer guaranteed to win if force numbers were around equal as they had in the past. The empire also had some inherent weakness. There was no accepted mechanism to transfer power on the death of an emperor so that one of the most common ways of settling the succession was civil war. The large numbers of civil wars opened up the frontier to invasion when armies were marched to the capital to decide the question of who would run the empire. Rather than a defined military defeat the collapse of the west was brought about by incursions which over time reduced the revenue base of the empire. This combined with the loss of military edge meant a growing inability to deal with incursions which gradually saw the establishment of barbarian kingdoms which decreased the central authority. I have had Luttwak's book for many yes...I have read it twice. It's fun to read. He's got the details right, but I agree with Isaac in "The Limits of Empire." that a "Grand Strategy" didn't exist for multiple reasons. I taught Roman History for a number and I specialized in the Late Roman period, 285-602 AD. Roman military strategy and tactics changed over time to meet defence needs and in response to the taxation system that supported the world's first professional army. In the Early Empire legions were often doubled-up in response to tactical offensive and defensive needs. In the Later Empire army units were usually much smaller and spread over a wider frontier area to make delivery of supplies much easier (one motive among several). Other smaller units were concentrated into mobile field armies. Cities built walls, if they had none and or repaired them.The Romans may not have had a "Grand Strategy," but they certainly were conscious of what they doing, however different from what we think they were doing, which is what historians try to find out. I think the Romans made deliberate choices regarding regional defense needs, tactical responses and battlefield techniques to challenges from their enemies, but as Isaac points out their motives are often very different from the ones we assign to them from our perspectives. There's sufficient documentation from primary sources to indicate that strategic concerns were on their minds. It was written about by ancient authors. But it was not grand strategy, but perspectives on how to defend the Empire best. It was not a matter of strategic doctrine, but something more immediate and less abstract. So, for example, what looks like a "Grand Strategy" by 350 AD is actually the result of ad hoc army, finance and adminstrative reforms some of which were first introduced at the end of the 3rd century and modified and added to. New policies were introduced in response to percieved needs. There was an attempt to create uniformity throughout the military, financial and the administrative systems for the sake of control and efficiency (of course there were local and regional differences), but this is not a Grand Strategy. Luttwak provides a tightly argued thesis from what I call a vertical perpsective. He's looking for logical decision-making and "defined ideology" to quote Isaac (p.373 op. cit) who points out that when we look for this kind of strategic thinking in the ancient authors and archaeology, the matter is much less defined. Roman actions and motives cannot be neatly packaged or made to fit into the kinds of theoretical concepts we are used to employing. There was no such thing as a Roman strategic "defense" doctrine equivalent to the Nato doctrine (Isaac p. 374). It's an anachronism. 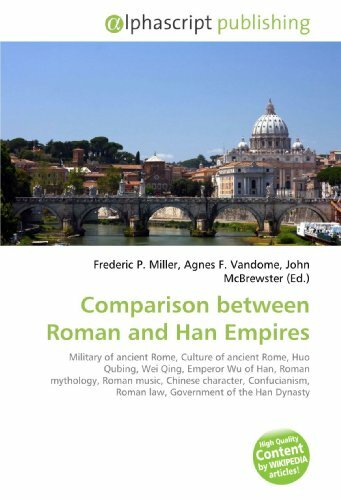 Both books, however, make an insightful and valuable contribution to the study of the Roman Empire and are well worth reading. Mr. Luttwak does a magnificent job describing the defensive strategy of the Roman Empire.Despite some controversy about the book (Mr. Luttwak is not a Roman historian and this irks some people), his book is very well researched and superbly written.The maps, charts and drawings are also a help.Mr. Luttwak breaks Roman defensive strategy into three eras (starting with Augustus and ending with Constantine the first) and accurately describes the working of each.Mr. Luttwak devotes a fair amount of his work to "The Eastern Front"(to borrow an expression used by Mr. Luttwak in his book), the Parthians and the Sassanids.I personally find this very satisfying; most books (at least the ones I have read) about the Roman military spend the overwhelming majority of their pages on the Rhine and Danube rivers.The modicum amount of books that even mention the eastern provinces are almost exclusively about the first Roman-Jewish war.So why do I say that the title is slightly misleading?The reason is because Mr. Luttwak says virtually nothing about offensive operations conducted during the time period.For example, Mr. Luttwak states about Trajan's Dacian wars "...in the wake of Trajan's conquest of Dacia (and the establishment of what was perhaps the most scientific of all scientific frontiers) resulted in the consolidation of the Danube armies..." pg.86.No mention is given to how Trajan's army operated within Dacia (logistics, battles, Dacian tactics and weapons, etc).Same thing also applies to Claudius's invasion of Britain in 43 AD.Certainly offensive operations should be included within the scope grand strategy.Perhaps, a better title for the book would be The Grand Defensive Strategy of the Roman Empire.Do not be perplexed by the shortness of the book (255 pages), for it's Mr. Luffwak's PhD dissertation.In an interview, Mr. Luttwak stated, "The Grand Strategy of the Roman Empire from the First Century AD to the Third, is merely my Johns Hopkins PhD dissertation. 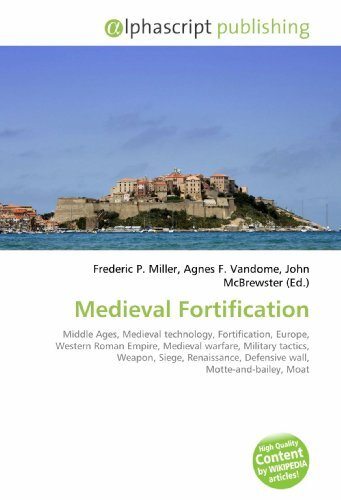 "In conclusion, whether you agree with Mr. Luttwak's assertions or not, the book is well researched and clearly states what he believes.Therefore, I would recommend the book to anyone interested in defensive Roman military strategy. I recommend Luttwak's book to anyone interested in Roman military history. The book details three systematic strategies that evolved from first century AD to the third century AD. 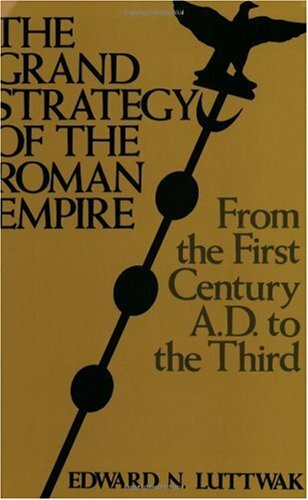 Luttwak provides some background of each time period as a preface and then explains the workings of each system including Roman interaction with neighboring nations, tactical and strategic deployment of the army, border defense, and Luttwak's conclusions on the effectiveness of the strategy. I do not think in can be proven that there were guiding planned strategies that were consistently followed as an official foreign and military policy. However, Luttwak's insights into the strengths and weaknesses of pervading Roman policy during each period are enlightening. Roman policy followed what was proven to be effective, but the Roman situation changed over time and so did the beliefs and personalities of the emperors. You will gain an understanding of the effectiveness, flexibility, and economy of Roman power during the early principate though their influence over client states. You will come to understand the benefits of preclusive defense as well as its weaknesses including its lack of flexibility. You will also see how policy changed with changing environment of the third century AD. I do think Luttwak should have paid more time to how internal and external impacts resulted in shifts of policy. Overall though, this is excellent work that will take you into new arenas that are worthy of further exploration. 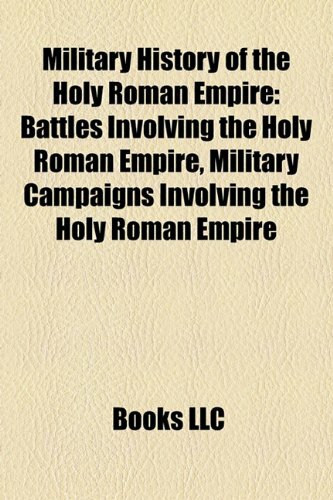 For a single volume study on Roman strategic action, this is both concise and penetrating in its analysis. The flexibility and economy of Roman command, especially early on, was interesting to learn about. As fans of Ridley Scott's film Gladiator know, ancient Rome could be a violent, treacherous place, one in which might made right. In thiswell-crafted historical study, Antonio Santosuosso shows that the structureof the Roman military itself was a cause of strife and disorder. In the early Roman republic, military service was deemed a privilegereserved for members of the propertied elite, whose interests wereconsidered to be close to those of the state. As Rome's empire grew, andwith it the forces needed to control Rome's holdings, its armiesincreasingly had to rely on a different kind of soldier, drawn from themany conquered peoples the empire embraced and from the rural, landlesspoor, whose loyalties to faraway Rome were less constant and who sawmilitary service as one of the few means to advance themselves in aclass-bound society. As historian Antonio Santosuosso shows, armies at theedges of the empire instead gave their allegiance to their commanders, whoharbored imperial ambitions of their own--and who, from time to time,turned their armies around and marched on the capital to claim the thronefor themselves. Naturally enough, this made Roman politics an unstableaffair, and in fact throughout the third century A.D. an emperor was likelyto have come to power through a coup d'état, and to end his days as thevictim of assassination. This is a good book to read for a perspective on Roman history that emphasises the role played in that grand drama by Rome's legions. 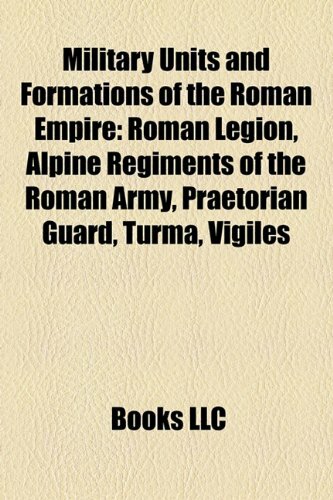 The author discusses the changing political, social and economic effects of how the legions were recruited, commanded and paid, as well as providing significant detail on the structure, command and performance of the legions over time. The effects of the military reforms of Marius, Julius Caesar, Octavian, as well as Septimius Severus and Diocletian are given special attention as are their different offensive and defensive strategies. In the third century A.D., the Roman Empire was on the brink of collapse. Yet miraculously the Empire recovered and continued, in the west, for another two hundred years, in the east, for far longer. In The Collapse and Recovery of the Roman Empire, esteemed classical historian Michael Grant examines this puzzling chapter in Western history. Although this period of Roman history is often discussed, there are no adequate discussions to explain why the Empire did not disintegrate--all indications seemed to lead to its demise. In his clear, concise style, Grant analyzes the collapse through the succession of emperors, the impact of the Germans and the Persians and sheds new light on the reasons for the recovery of the Empire by revealing the emergence of strong emperors, the reconstitution of the army, new developments in finance and coinage, as well as the impact of state religion. Wow - am I disappointed! I have become fascinated with the decline and ultimate collapse of the Roman Empire and was happy to find this slim volume by Michael Grant - whose past publications have been authoritative and readable - to tell me what happened and why. But this isn't a book at all. Its a collection of excerpts from Grant's and others' writings interspersed by brief comments by the "author." Worse the comments, like the multiple quotes on the same topic, are repetitive and lack critical insight. I checked this book out from the library; if I had bought it I would feel like sueing the author and publisher. What a sad end to a distinguihed career! The book taken for what it is--a broad consideration of the topic presented in the form of a brief essay--can only be considered a masterpiece.Now.Be warned.This is just an essay, not a detailed treatment of any particular Imperial device.The emphasis here is not on details of military activity, of social life, of religion.The idea of the book is this:Rome was falling apart in the early third century due to the juxtaposition of many complex factors--porous borders, rigid bureaucracy, weak leadership, factional politics, economic stagnation.Strong emperors, such as Diocletian and Constantine, reversed the trends by recognizing them and instituting reforms that restored the confidence of the citizens and strengthened the Pax Romana.This book is a masterpiece for that simple insight.It is a vivid portrait of how cult of personality, therapeutic politics, popular religion, and self-serving consumer economics can soothe the anxieties of a vast empire otherwise consumed with corruption and ennui.Doesn't this scenario sound familar?Grant's ability to grasp the archetypes amid the chaos is astonishing, and his presentation is lucid and powerfully argued. ....though I am a big Grant fan, the reviews here tell it like it is. This book is nothing more than a collection of rehashed paragraphs from his other works. His self plagiarism could be forgiven if the book was aworthwhile one volume reference to key events of this important epoch inRoman history. Alas, it omits key events and figures by the bushel and canbe considered nothing more than a collection of half completed noteshastily hurled together for publication. 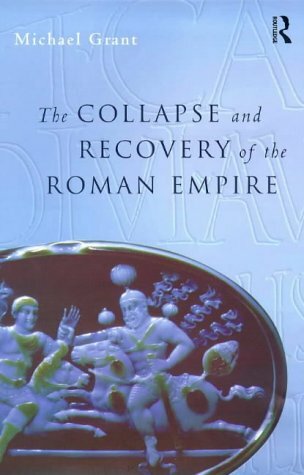 You can learn far more about the"collapse and recovery" by perusing the appropriate entries inGrant's excellent "The Roman Emperors". 16. 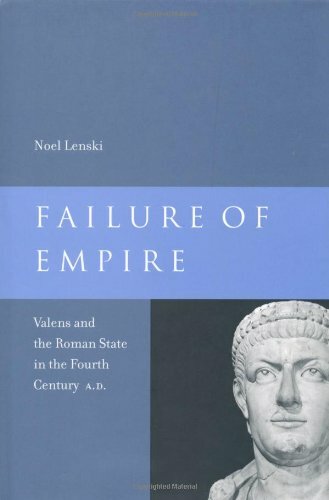 Failure of Empire: Valens and the Roman State in the Fourth Century A.D.
For those who don't know, the Emperor Valens was the man who lost the Battle of Adrianople to the Goths thus allowing them to establish themselves on Roman territory. They never left it for the rest of the history of Rome. Many historians see this as the battle that led to the end of Rome 98 years later. So essentially Valens is remembered as a great failure. If you're wondering why someone would want to read a book on a failure then the author has an answer for you. The book is designed to show what qualities were needed in an emperor by showing the qualities that Valens had and the ones he was lacking. And Valens did have good qualities. He wasn't one of those despotic tyrants that show up from time to time in Roman history. He was just a man of average abilities who found himself unable to cope with events. He's also well documented for a fourth century emperor. Ammianus Marcelinus describes his as consisting of "equal parts good and bad qualities," which is another advantage to a historian. The man is not obscured by propaganda in this era of high religious tensions. Nobody tries to make him a saint or a villain, he's just... a man. OK, onto the book. Aside from the kudos due to the choice of such an awesome topic, there are many reasons to read this book. As far as I know, there aren't any other biographies of Valens out there so you're pretty much stuck with this one anyways. But that's OK, because this book is all you'll need. As mentioned above the book's main purpose is to analyze Valens' abilities and find out what he had and what was lacking. The information on this is fascinating, but it's also arranged in chronological order which means that it reads like a biography and not just some scholarly thesis. The book is written very well on the whole. It maintains your interest all the way through. It also includes probably the most in-depth analysis of the Battle of Adrianople to be found anywhere. Another good reason to check this out. This is one of those books where you really feel an understanding for this era. The world comes to life, as does Valens in all his glory/infamy. A minor Bohemian nobleman who within the space of a few years became a prince and one of the greatest landowners of his age; a military entrepreneur who twice saved the Holy Roman Emperor from disaster with armies he raised, financed and led, but was then twice dismissed; an able general who rescued the Empire from invasion by the Swedish King Gustavus II Adolphus, but was accused of planning to defect to the self-same Swedes; the emperor's commander-in-chief, but assassinated on the emperor's orders; a successful soldier who fell because he tried too hard to make peace; Wallenstein was all these things. Contemporary legends and propaganda were taken up by early biographers of this fascinating character to create a historical myth, elements of which are still present in many more recent accounts. In this book, Geoff Mortimer sets out to clarify the picture and to resolve the enigma. Historians have tried time and again to identify the central issues of the conflict which devastated Europe between 1618 and 1648. 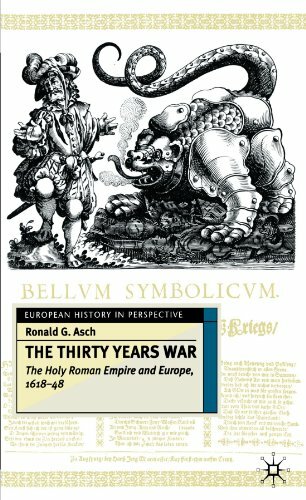 The Thirty Years War by Ronald G. Asch puts the religious and constitutional struggle in the Holy Roman Empire squarely back into the centre of events. However, other issues are not neglected. Thus the problems of war finance are shown to be an important key to the interaction between inter-state and domestic conflicts during the war. 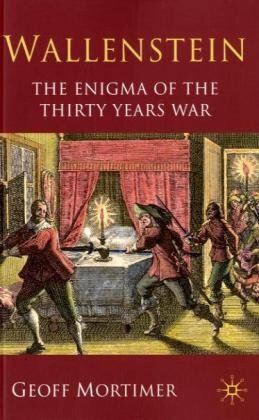 Equally confessional tensions are analysed as a decisive factor linking international and domestic disputes, and the reader is provided with a succinct narrative account concentrating on the major turning points of the war. Mr. Asch is obviously a thorough and competent specialist of the period. It seems to me that he is writing essentially from a German perspective, which is not a bad thing, but his thorough expositions, chapter by chapter, lack the additional dimension one would expect to find in a book describing such an amazing period of European history. In other words, this is accurate, solid stuff but after a while, it takes some effort to labour through the rest of the book. Historians can't be expected to write page turners, but still ! The Beginning of the States! Emperor Theodosius (379-95) was the last Roman emperor to rule a unified empire of East and West and his reign represents a turning point in the policies and fortunes of the Late Roman Empire. In this imperial biography, Stephen Williams and Gerry Friell bring together literary, archaeological and numismatic evidence concerning this Roman emperor, studying his military and political struggles, which he fought heroically but ultimately in vain. 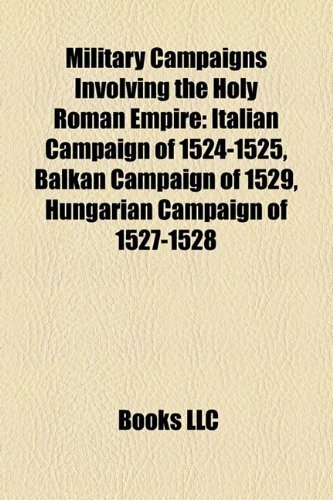 Summoned from retirement to the throne after the disastrous Roman defeat by the Goths at Adrianople, Theodosius was called on to rebuild the armies and put the shattered state back together. He instituted a new policy towards the barbarians, in which diplomacy played a larger role than military might, at a time of increasing frontier dangers and acute manpower shortage. He was also the founder of the established Apostolic Catholic Church. Unlike other Christian emperors, he suppressed both heresy and paganism and enforced orthodoxy by law. The book is very well written, the most readable and my favorite so far for the years it covers. It doesn't end with Theodosius, but covers his sons Honorius, Arcadius, and the general Stilicho and a bit of Galla Placidia. It's the most well rounded and sensitive introduction to Stilicho written by a recent author that I have found so far in English. (Both Stilicho and Galla Placidia have much more written about them in German. The English reading public is missing out on two great historical figures).In the hardback, the proof reading left something to be desired, with several dropped words, and countless missing right side parenthesis. Theodosius the Great was called upon to serve the Empire shortly after the catastrophic Battle of Adrianople, when Emperor Valens (along with a Roman army) was killed by an army of Visigoths.Williams and Friel strategically place the Battle of Valens at the beginning of this narrative, and skilfully proceed to show that, from the outset, the reign of Theodosius was overshadowed by that disaster.His decision to allow barbarian settlement within the Empire's frontiers, for instance, was taken from a position of military weakness and uncertainty.Theodosius is also known as the emperor who, acting under the influence of Saint Ambrose, transformed from the state religion to the universal religion, thus wholly reversing the religious policy of Diocletian.This is a concise and free-flowing biography which also, as something of a coda, has a terrific chapter on the doings of the military leader Stilicho, who (while not being Emperor himself) was able to paper over the cracks left by Theodosius's choices of weak successors. Theodosius was the last man to rule over the entire Roman Empire. He was appointed by Gratian, the young Emperor in the West, to rule the eastern half of the empire after the death of Valens at the battle of Adrianople. He became sole ruler the whole Empire after he defeated and executed Maximus, who had deposed and executed Gratian. As the last man to rule the full Empire, an understanding of Theodosius and his reign is crucial in understanding how and why the western Empire collapsed while the eastern Empire was able to survive. As an undergraduate, I read numerous books and articles, each with their own unique view of why the western Empire failed. Gibbon largely blamed the the advent of Christianity for weakening Rome. Others have blamed everything from depopulation resulting from epidemics of the plague to gradual weakening of the Roman aristocracy due to poisoning from their leaden water pipes. Another theory credits the battle of Adrianople with weakening the Roman military and leading to over-dependence on unreliable Gothic tribesmen to fill the ranks. 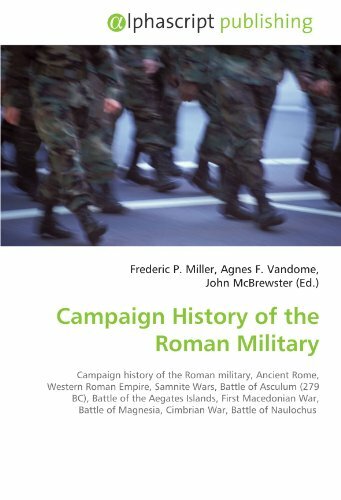 Williams and Friell analyse events and the historical evidence, concluding that the military situation after Adrianople was retrievable and that Theodosius and Gratian were able to rebuild the eastern field army and re-establish stability by supporting each other in key situations. After Gratian's death, however, co-operation and mutual support between east and west became increasingly problematical. Theodosius began to pursue policies that weakened the Empire. He prompted internal dis-unity, especially in the west, by abandoning the long-standing policy of toleration towards pagans. Even more damaging, he followed a disastrous dynastic policy, promoting his two inept and untrained sons as his heirs and squandering limited military resources fighting fellow Romans while hordes of barbarians were massing just outside the borders. Further, he allowed unscrupulous ministers in his two capitals to promote the interests of one capital at the expense of the other. Thus, Alaric, instead of being controlled, was repeatedly foisted off on one part of the Empire by the other, causing enormous damage. The authors make a clear and compelling argument that Theodosius, despite being an able ruler, lacked vision. As his reign wore on, he incresingly put his personal religious concerns and his dynastic interests ahead of the welfare of the Empire as a whole. This was particularly disastrous in the west, where money and manpower were more scarce. After his death, the Empire was left depleted and dis-united, its ablest leaders lacking the power and authority necessary to keep barbarian invaders at bay while his heirs dithered. This is a fascinating and well-reasoned account of the period from 378 to about 430. If you have an interest in the history of the late Roman Empire, or if you're just curious, this short and readable book is well worth the effort. 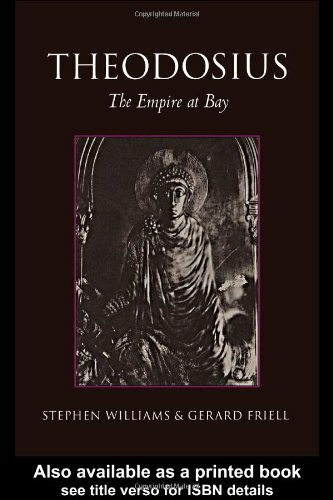 Stephen Williams and Gerard Friell's work on the emperor Theodosius is not essentially a biography, but rather a survey of the empire from the crushing defeat at Adrianople in AD 378 up to the Vandal's occupation of North Africa in AD 430.Just how Theodosius reacted to these conditions and the subsequent affect they later had on the empire is the basis of this work.His diplomatic feats and failures, his military maneuvers and achievements, and his religious swing from tolerance to universal bigotry are fully covered here with clarity and unified scholarly ingenuity.A very clear account of the complex web of power between the East and the West, the emperors and their ministers, during the reigns of the indolent and feeble emperors Honorius and Arcadius, will be found here as well.To find a more substantial and lucid account elsewhere of the principle policies during Theodosius' reign, of the German migrations and relations with Rome, the ambitions and downfall of Stilicho, and the final disintegration of the Western empire, will be a difficult task to say the least.Detailed illustrations and maps add all the more luster to this well-referenced work, which will be rewarding to scholars and relieving to busy students alike.